No not sold, just a change of pot for it to live in. 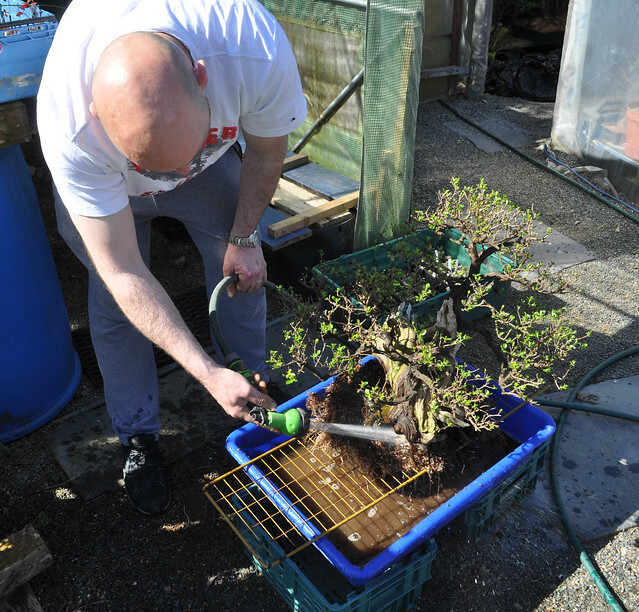 I have enjoyed immensely the journey in taking this tree from from my garden to Bonsai Europa last year. However I was never happy with the pot for any Winter image display. The pot is too large and lacks colour to lift a Winter image display. 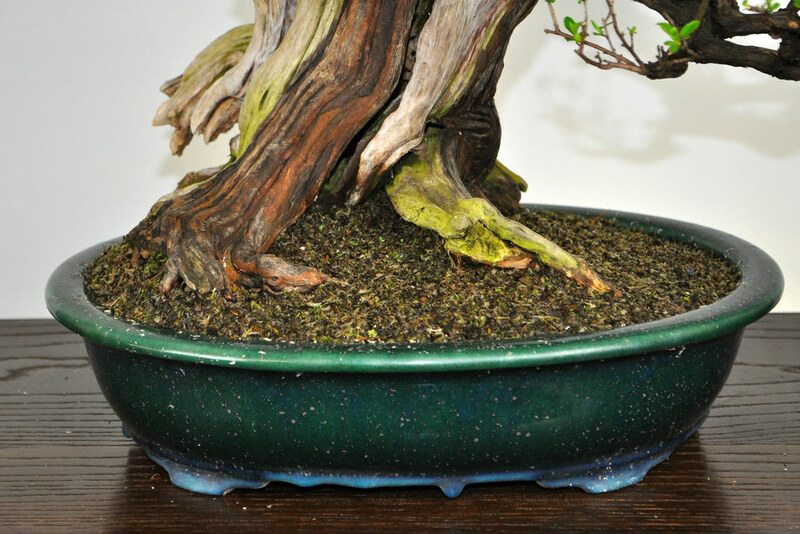 I have been looking around for a new pot for the tree for a while and this Spring I found what I was looking for from David Benavente. 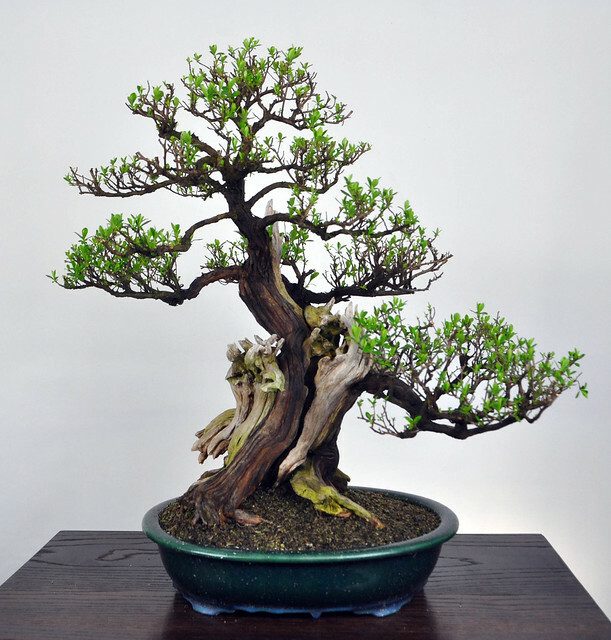 This was the tree in Bonsai Europa last October. 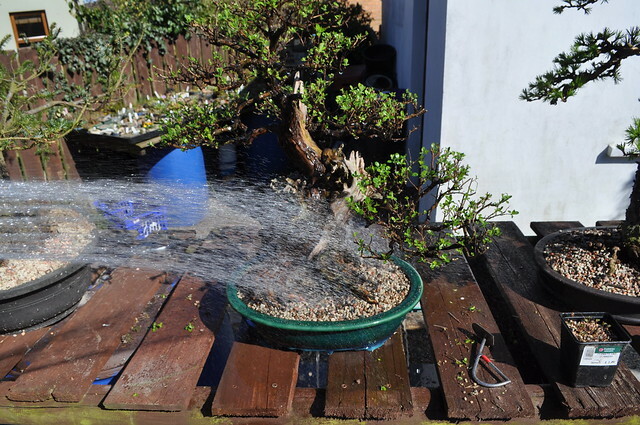 The tree had been allowed to keep a larger amount of finer branching for the show to show more ramification and also try and get a better balance with the pot size. This resulted in a slightly unkempt image but one I liked. Very hard to prep an Escallonia for exhibition at this time of year. Back to the present and I wanted to reduce the foliage mass to suit a smaller pot and help reset branches on this species. This needs to be done every few years to prevent inner branch die back anyway. It would also make for a more powerful image with a heavier trunk to branch balance. This is the tree after reduction. You can see how big the original Walsall pot looks now. And this is the new pot, a pot from Tokaname made by Watanabe Kazuhiro (Ikkou). I feel in love with this one on sight. The glaze with green with an underlying blue, turning blue at the base in drips was just stunning. Getting the tree ready, time for a proper repot. 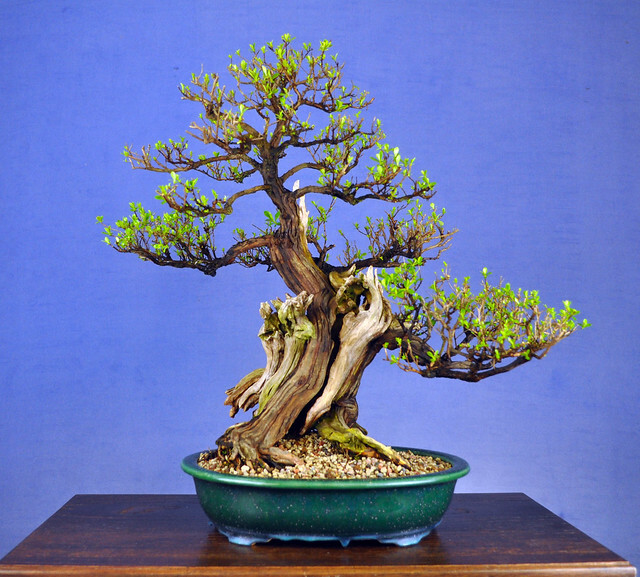 This tree has always been robust and after a chop back I was confident that a full repot could be carried out. And potted up in it’s new home. Top dressed with a moss mix. It will take a few months to fill in again but it will make all the difference to the final image. Photos don’t do this pot justice. The colours and age of the pot are just perfect. The tree was repotted about 4 weeks ago and the tree is budding up nicely with plenty of adventurous back budding to boot. 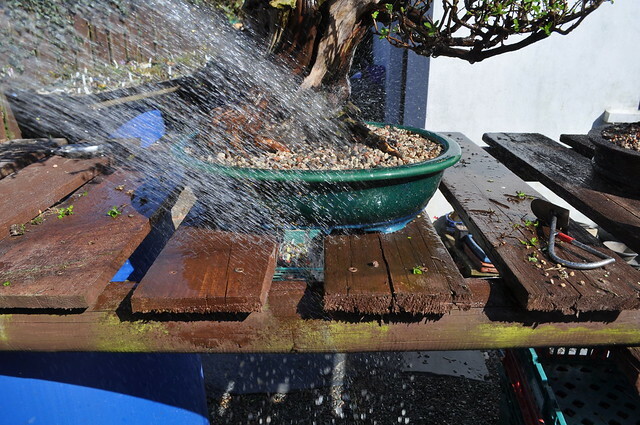 It next outing, all being well with be our clubs Bonsai 30 event this September. Just absolutely perfect. My favourite pot colours too.